Brian Stevens is finding himself spending a lot more time in the Great White North in 2018. The chief technology officer of Google Cloud, the division of Google that’s onboarding enterprise customers for its infrastructure and platform services, has been visiting Toronto and Montreal often since Google Cloud officially launched its Canadian region at the beginning of the year. We met Stevens for an interview at Google Next 2018 in San Francisco last month, the third annual conference dedicated to the division. Even at this conference, Stevens mentioned his meetings with some name-brand Canadian organizations. Canada’s stake at the conference is growing quickly, and perhaps an indicator of a warm welcome for Google Cloud Platform. According to Google, it’s estimated there are 650 Canadian customers there, while last year there were just 200. Many of them were presenting on stage – Scotiabank in a keynote, and Loblaws at a breakout session focusing on retail. Stevens has been with Google Cloud since 2014, joining as a vice-president after more than a dozen years at Red Hat and building up a profile in the open source community. 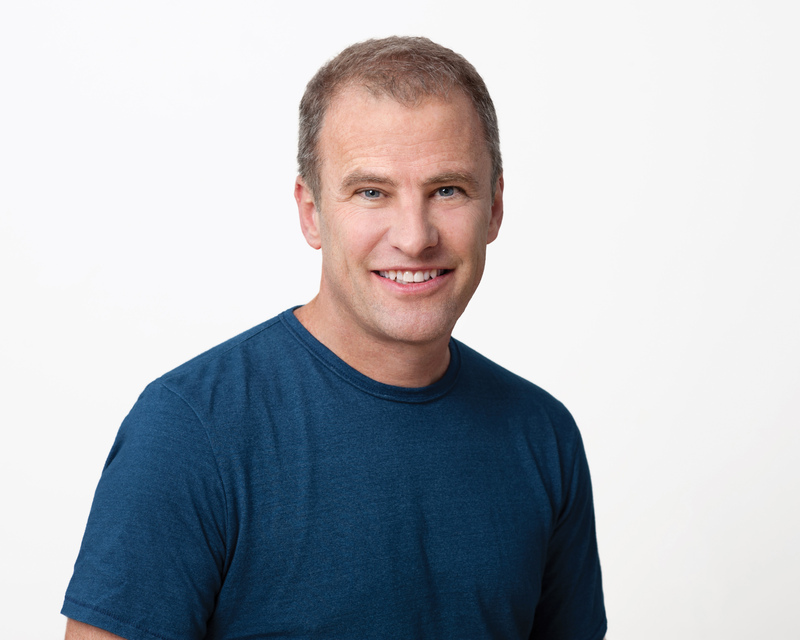 In April 2017, Stevens was promoted to the CTO role at Google Cloud. We spoke with him about how Google Cloud has been scaling its operations in Canada, where it’s trying to differentiate, and what the strategy is for growth. Note that this Q&A is not a verbatim transcript and was edited for accuracy and clarity. Before he joined Google Cloud, Brian Stevens had a long career at Red Hat. ITWC: Some CIOs I’ve talked to wonder why they haven’t heard more about Google Cloud Platform. Granted, it just launched its Canadian region, but some have even said they feel the offering is running in ‘stealth mode.’ What would you say to that? Brian Stevens: Stealth mode? That’s fair in a way. Just a couple of years ago, no one even knew that Google had a cloud service. You really need to regionalize it and then do more to market it in that region. If you think you can do regional marketing out of your headquarters, you’re just pretending. So we’re scaling up the team in Toronto now and there’s deals coming through. Once a few customers start talking about their ROI model, it starts taking care of itself. I’m meeting with a Canadian telco this afternoon. It’s such a surprise they don’t realize what we have to offer. There’s transformative analytics and machine learning capabilities that can help beyond the industry they’re in. You can’t just go and talk to the CIO anymore, the CIO cares about cost, security and realiability and we’re good at that. But you have to engage the business too. At a bank, if you can tell them you can help with credit card fraud by using AI, that’s big dollars. ITWC: Where does Google Cloud differentiate itself from competitors like Amazon Web Services and Microsoft Azure? Stevens: One of the first things I did when I started here was take a meeting with the security team. Our strategy has been to take the security that protects our consumer data and use it to protect our customer’s data. That’s what Cloud Armor is all about. Then there’s performance. We have the largest private network not because we want to be in the networking business, but to provide quality of service. People think all virtual machines are the same. But we have the only ones where you can pick an arbitrary number of cores, an arbitrary amount of memory. With the competition, customers are often over-buying the amount of machines they need. Plus, we have custom hardware to make our AI processing more affordable and distributed. ITWC: Most people know Google from its free consumer web services. These are all self-serve approaches without any people involved in providing customer service. With enterprise IT, businesses want a white glove experience. Do you find that can create any issues? Stevens: Google has the best technology and the best machine learning. Our challenge is education and working directly with IT organizations at scale. In Canada, we’ve seen that people want to meet with Jim (Lamb, Google Cloud’s country manager for Canada), but they also want him to bring engineers along to help as well. When you give the customer the option to have another sales rep versus another technical support, they take the technical support all day. We have been spending a lot of time with some of our early customers in Canada. You’re changing their IT architecture and transforming their business, so the best thing you can do is throw quality engineers at them. That said, it’s amazing how many requests I get on LinkedIn from people looking for help recovering Gmail credentials. Anyway, we know we have to build amazing support offerings. There’s a lot of self-training options, and there’s our professional services offerings, and we have customer engineers that are amazing. It takes time. Our presence in India isn’t the same as our presence in Germany yet. Now that we’re focused on reach, our dollars are going into the technical sales force, whereas before we were building the product. ITWC: Security has been a big focus of Google Cloud’s message here at the conference. What are your prospective customers telling you about their concerns around cloud security? Stevens: I live on the east coast, and the conversations with the banks there is that they know our security is better than theirs. It’s not a security challenge as much as it is a familiarity thing with them. They trust it, it’s just about knowing how to operate in the new context. For those that don’t want to do multi-tenancy with another customer, we can sell you the whole host so you don’t have someone random next to you on the server. But I don’t really see people taking advantage of that. Security from a cloud provider is far superior. The amount of dollars we throw at it is incredible. We even use AI to look for patterns and anomalies. Customers just want to know “how do I bring my keys to you and rotate them?” and “How do we do a direct connection?’ and you just have to explain how that works.